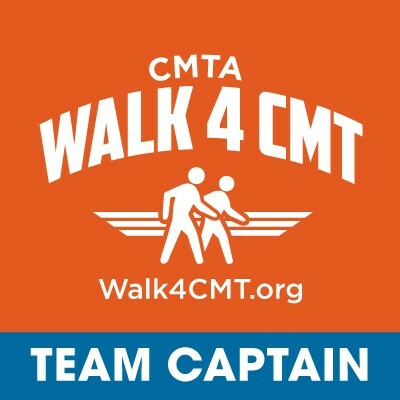 Walk 4 CMT is a volunteer led national fundraising campaign for the Charcot-Marie-Tooth Association. By participating in this year-round campaign, you will be joining hundreds of others across the country who want to improve the lives of those living with CMT. 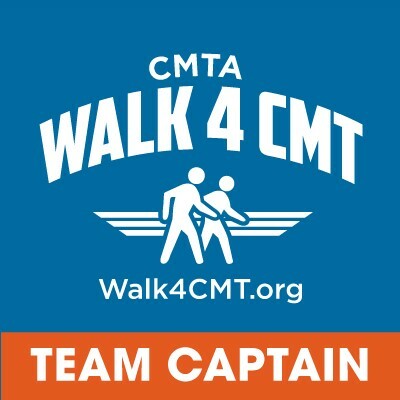 Funds raised by the Walk 4 CMT campaign fuel the CMTA to find treatments for CMT and ultimately a cure. 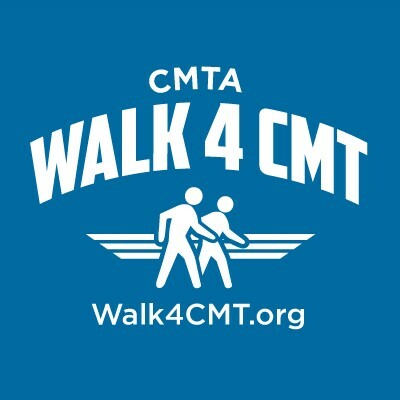 The mission of the CMTA is to support the development of drugs to treat CMT, to improve the quality of life for those with CMT, and, ultimately, to find a cure. Our vision is a world without CMT. Charcot-Marie-Tooth (CMT) is the most commonly inherited peripheral neuropathy, estimated to affect one in every 2,500 people, more than 2.8 million worldwide, without regard to age, gender or ethnicity. Identified in 1886 by three physicians - Jean-Martin Charcot, Pierre Marie and Howard Henry Tooth - CMT is a progressive disorder that slowly damages the nerve cells leading to a person's extremities. There is no way to predict how far or how fast the disease will progress, and the severity varies widely from person to person. Some are able to go about their lives with only moderate difficulty, while others require greater assistance. In rare cases, CMT can be fatal. There is no known cure for CMT. Common treatments include moderate exercise, physical and occupational therapy, bracing with custom-fitted orthoses and surgical intervention. Each child of a person affected with the dominant form of CMT has a 50/50 chance of inheriting the disease. People who carry the recessive CMT gene can also pass the disease on to their children or CMT can appear spontaneously in any family as a new mutation and then be passed on to future generations. Learn more about CMT and the CMTA at www.cmtausa.org. Show your support on social media by changing your profile picture to one of these images!